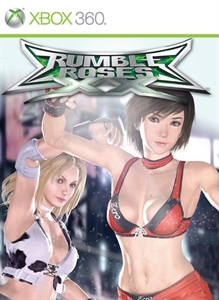 A playable demo of Rumble Roses Double X, in which people experience dynamic battles on Xbox Live. While the game offers the most beautiful real time CG babes in game history, it also provides a huge volume of game play including tag team action, handicap matches, and everyone's favorite Queen's Match! This is Hi Def! Check out this playable demo to enjoy a piece of the great fighting action! * This playable demo features English text only. The actual product features text in different languages for each territory.